Engineers: Marc Gebauer (Todd-AO) Brad Cobb (DMT Rentals). The Todd-AO stage is historic and is on a short-list of such large facilities in the U.S. Original owner Republic Pictures was awarded a special Oscar in 1945 for building "an outstanding musical scoring auditorium which provides optimum recording conditions.” The Stage earned its position in the 1959 printing of the Audio Cyclopedia. 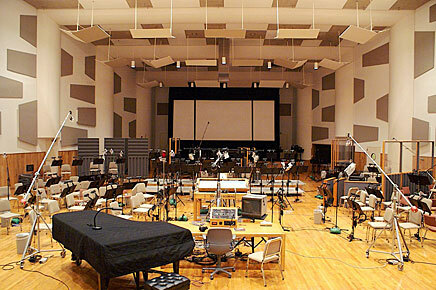 The stage has had a 60+ year film scoring career, matched by no other.